“It will be 2am in the morning that I’ll wake up with my sleep interrupted. In this body of work, I’m interested in painting a portrait of gamers, extracting imagery from both their psychological landscape and the landscapes of the games they play. The virtual world hold in finite possibilities for these gamers and its landscapes defies yet mimics the logics of space. 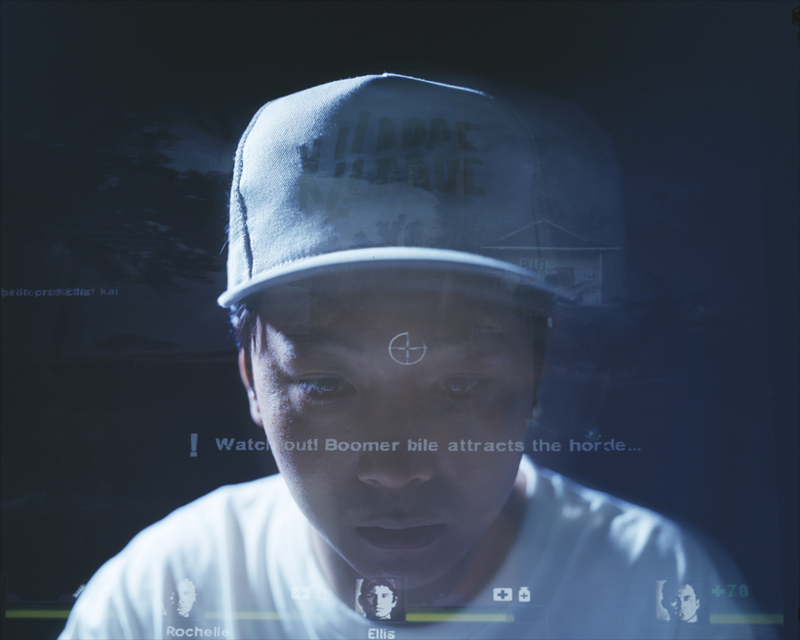 Using light source from the computer screen along with extended exposures, the camera records the gamer’s movements (or the lack of) in the midst of playing the game. 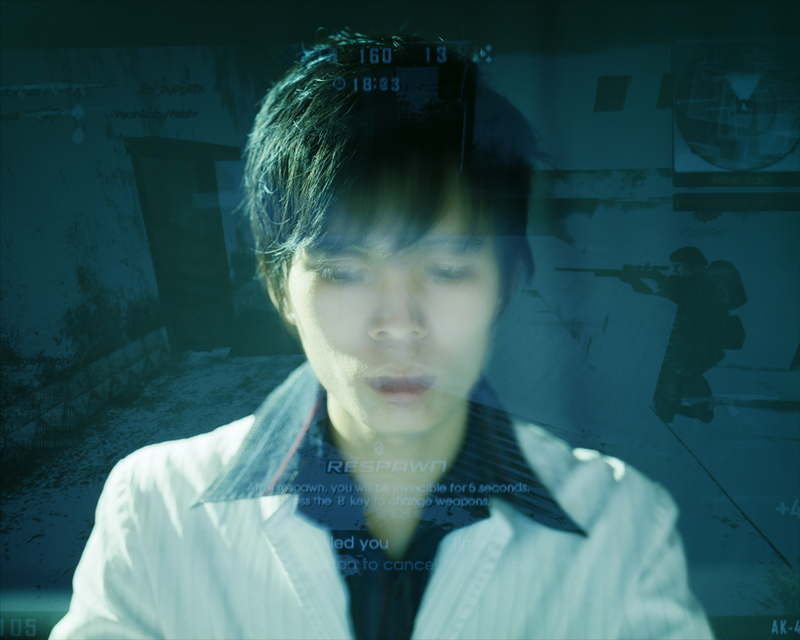 Turning 180 degrees, through the eyes of the gamer, the camera records layers of information from infinite space of the game matrix with multiple exposures. Text and visual cues leaves its marks on the retinas and residues in the form of memories in the gamer’s and the audience’s mind. Mintio (Singapore) began her practice as a fine art photographer while pursuing her Bachelors in Fine Art at the School of Art, Design and Media at Nanyang Technological University in 2005. As an artist, her work puts priority on the process as well as maintaining a high-level of craft in the execution of an image. Working primarily with large format photography, she believes that technical choices are the key elements in the personalization her work. In her most notable series “Concrete Euphoria”, Mintio works uses the large format camera to photograph urban landscapes around Asia. Despite the discipline-oriented methodology, she allows chance, chaos and emotional impulse to be huge driving forces in her practice. Her subsequent series “Conveyance” was acquired by the Singapore Art Museum. 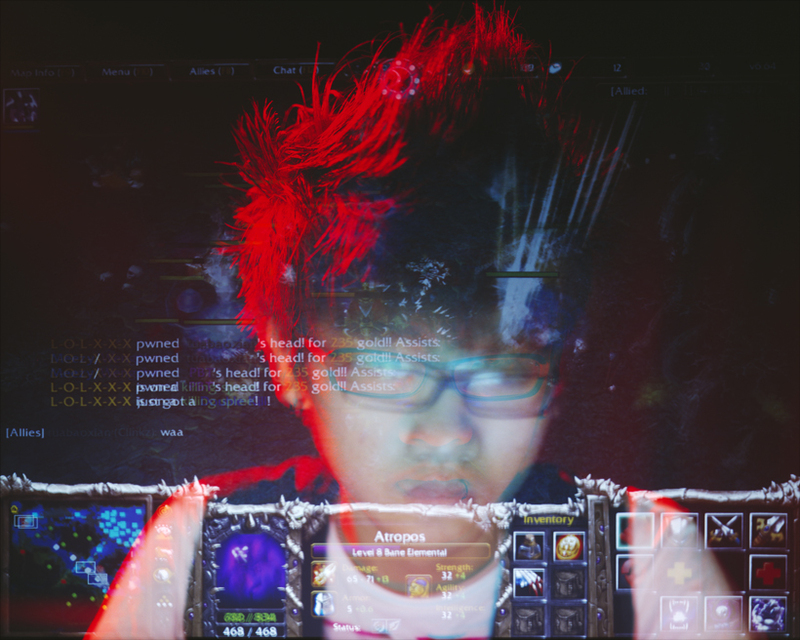 Mintio’s new body of work, “~*THOY*~ (The Hall of Hyperdelic Youths)”, exploring the connections between spirituality and the cyber-world through adolescent computer gamers, will be exhibited at Valentine Willie Fine Art around the Southeast Asian region.